The Irremovable Container Cap has an aperture with a one-way valve system for the acceptance of a vacuum extraction tube from a dispensing device.. The closure allows a tube to be inserted through its sealed orifice in order to extract the liquid contents from within the container. 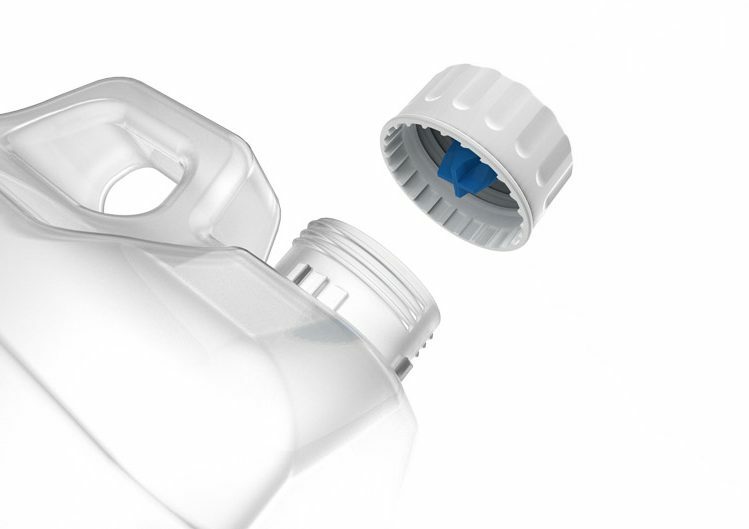 An Irremovable Cap Closure ensures that when a dispensing tube is inserted through its apertured seal so that vacuum extraction can take place, the dispensing container is prevented from shrinkage or collapse.The simple replacement of a standard cap with an irremovable cap makes it very easy for fillers to produce a closed container system with very little complexity or limitation. The OEM container neck orientation must correspond with the teeth of our 38 mm Irremovable Cap for irremovable function. The 38mm irremovable cap can be readily and securely be adapted for the acceptance of a 6 – 9mm tube from dispensing or dosing devices. 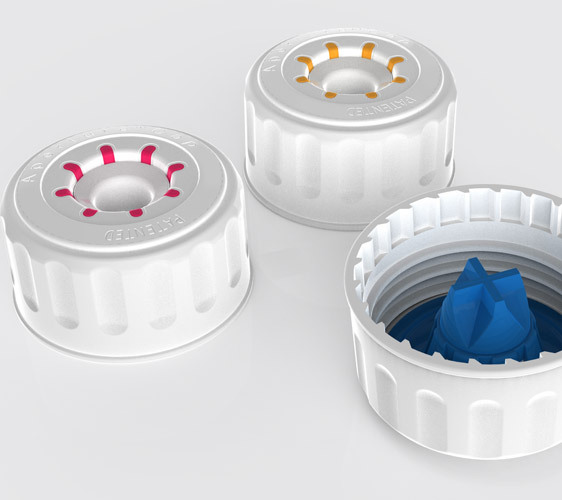 The irremovable container cap colour coded design provides a clear and simple solution for the identification of chemicals. 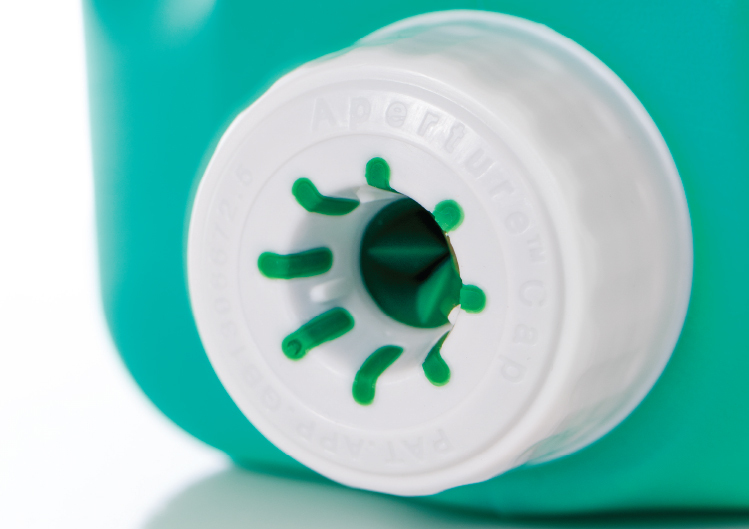 Irremovable Cap pre use seal ensures safety in transportation and storage, eliminating the requirement for additional caps or seals.